At Warrington and Halton Hospitals we take a permissive approach to use of social media. 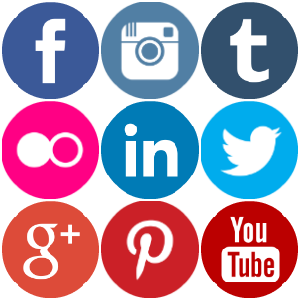 We want you to follow and engage with us on social media and see it as way we can tell you more about your hospitals. However, we do ask patients to consider how they use social media and internet in the hospitals.We do not provide a public Wi-Fi service at present so access to internet services is via patients’ own portable devices (or via the Hospedia bedside TV and phone systems). Please be mindful that any photos or social media posts that include images, information or recordings about other patients, staff or visitors taken without permission could easily identify them and breach their human rights and right to privacy. This can actually have legal consequences. We actively monitor social media activity at the hospitals so that we can respond to patient and public requests. We have had to take action in the past when patients or visitors have identified other people in hospital without permission. Most people don’t realise the consequences so please help us protect the rights of our patients and staff by being responsible with social media if you are using it whilst at the hospitals. If you do want to photograph, film or voice record any aspect of your own care or treatment, please speak to your nurse or consultant in charge and we will do our best to advise and facilitate this where it is possible.